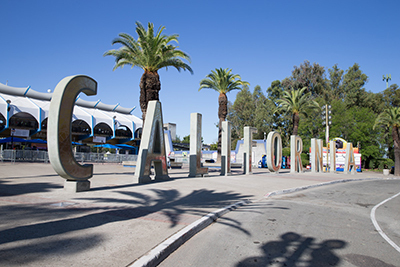 A 2014 study has revealed that both Northern and Southern California are experiencing similar drug trends, and Berkeley’s drug trends align right with this study. For the past few years, heroin has become a growing concern as it gains popularity and becomes more easily accessible. Heroin was involved in 33% of drug-related arrests in 2014. That year there were 10,689 total hospital admissions for substance abuse and heroin made up 4,045 of those admissions. Alcohol is the second highest substance that people seek hospital treatment for and accounted for 2,378 admissions. Methamphetamine and cocaine were also responsible for a large percentage of hospital admissions with 1,524 and 1,205 cases respectively. It is also estimated that 25% of the Berkeley population engages in binge drinking, 13% engage in illegal marijuana use and 5% use other undisclosed drugs in any given month. A study was also done in 2014 to get a better idea of teenage drug use in California, which showed to follow different trends than that of the overall population. A survey was conducted with a group of seniors at a local Berkeley school where individuals were asked about their substance abuse in the past 30 days. 52% of the seniors admitted to drinking alcohol in those 30 days. They were then told the definition of binge drinking, which was the consumption of 5 or more drinks over the course of a few hours, and 33% admitted to engaging in that activity. 46% of the group surveyed also admitted to using marijuana during that time frame, which is illegal for anyone under the age of 21 but easily accessible in the state of California. California was the first state to legalize the use of medical marijuana, and recreational marijuana was legalized almost to decades later. This makes the possession of up to 28.5 grams of marijuana by anybody over the age of 21. While this is a freedom enjoyed by many California residents there are still regulations set in place. If a person is caught possession more than 28.5 grams of marijuana could face up to $500 in fines and 6 months in county jail. It is also legal for a person to possess up to 8 grams of concentrated cannabis, but any higher amount can result in $500 in fines and one year in county jail. The possession of marijuana by anyone under the age of 21 is still a punishable offense but is corrected rather than punished. Rather than having to pay fines or serve time in county jail they are required to attend a mandatory drug education course and complete community service hours. Possession of certain controlled substances excluding marijuana is considered a misdemeanor and only results in up to one year in county jail and possible fines. These controlled substances include opiates, cocaine, hallucinogens, narcotics, synthetic cannabis and mind-altering salts. Consuming alcohol over the age of 21 is legal in the state of California, but there are still laws in place to regulate it. Driving under the influence of any substance is illegal and the most commonly reported substance involved in DUIs is alcohol. The first time a person is charged with a DUI, they could face up to 6 months in jail, 4 months of a suspended license, $1,000 in fines plus a $125 charge to reissue their license and they have to install an IID on their personal vehicle. They are also required to attend a DUI program to educate them on how their actions were wrong and the consequences of their actions. Any subsequent offense will result in higher fines and longer jail time, which is determined based on their past criminal history. The state of California has a zero-tolerance policy for anyone under the age of 21 years old who is using or in the possession of alcohol. If they are charged with a DUI, they will face a one year suspended license, criminal charges, attend DUI school and will face undetermined fines that will depend on the context of the crime. If a person under 21 possess alcohol in their car, even if they pass a chemical test, will face up to 30 days in jail, $1,000 in fines and an impounded vehicle. The only exception to this rule is if the person is accompanied by a parent or guardian in the car and the alcohol container is full sealed. If a person refuses to take a chemical test, regardless of their level of sobriety, they will also face a punishment in addition to the charge they would receive. In the first refusal, their license is suspended for 1 year, the second-time results in a revoked license for 2 years and the third-time results in a revoked license for 3 years. A person who is suffering from a substance abuse problem may not always be able to or want to recognize that they have a problem. Since they cannot do this on their own, their friends and family members may need to get involved and express their concerns. An effective way to accomplish this is through an intervention. The purpose of an intervention is not to attack the addict about their disease and choices but rather to show them that they are cared about and that their loved ones want them to get help. The ultimate goal of an intervention is to help the person agree to treatment and possibly even help them set up the process. Many people find that it is helpful to do research before the intervention about local treatment centers and pick one or more that may fit well with the addict’s specific disease. This will take some of the pressure off the person once they agree to treatment and make the entire process less overwhelming. It is also a good idea for each person who is going to speak to the person suffering from substance abuse to plan out what they would like to say ahead of time. Emotions can run high during an intervention and it is easy for people to leave out what they might want to say or possibly go off their course of thought and say something that could potentially be hurtful to the person. Many people choose to write a letter to the person who is suffering from substance abuse and read it directly to them during the time of the intervention. This could also be important in the event that the intervention is not completed or the addict leaves so that they could read the important messages in private in a less-tense setting. The intake process is the first step a person will take once they make the choice to receive treatment. It is important that the person chooses treatment rather than being forced into it because they will get more out of the experience and have a better chance at a lifetime of sobriety. When the person arrives, they will most likely speak to an intake specialist who will ask about their past medical history, the details of their addiction and if they have had any previous treatment. They will also introduce the patient to their treatment team, which is made up of mental health specialists like counselors and psychiatrists, and together they will make a treatment plan and set up personal goals for the patient. The patient will also receive a complete physical and mental assessment to examine their overall health and to see if they have had any major damages or side effects as a result of their substance abuse. They will check the person’s blood work, look for organ damage and look for co-occurring mental disorders that are common among addicts. Once the person completes this step, they are ready to move on to the detox process. The detox process can be physically and mentally draining on a person, which is why it is extremely important that they receive a medical examination first. Since they have become so accustomed to regularly using a certain drug or alcohol, their bodies become reliant on it. When they stop taking that substance all at once, the body can go through some serious withdraw side effects. Some of the common physical side effects include headaches, nausea, vomiting, increased sweating, trembling of the body and cold-like symptoms. Common mental side effects are anxiety, depression, irritability and insomnia just to name a few. There are also other, more serious side effects a person may experience like strokes, heart attacks and seizures that can have dangerous and even lethal consequences if not monitored and treated correctly. This is why it is important for a person going through withdraw to do so in a medical setting supervised by professionals and are discouraged to attempt to complete the step on their own at home. After a person is fully detoxed from the substance that they were addicted to, they are ready to begin their inpatient treatment. Here, patients live at the facility in private rooms or with one or more roommate and receive constant support and supervision. They are required to attend daily individual and group counseling sessions where they will work on understanding their addiction and work towards making peace with the underlying problems they may have that led them to the addiction to begin with. Most programs use Cognitive Behavioral Therapy (CBT) to retrain the brain not to crave drugs or alcohol whenever the person is triggered by an event or experience that led them to use them as an escape. Some inpatient treatment programs are short and intensive and only last 6-8 weeks. Patients use CBT along with other important skills they learned like anger management and mental health management to prepare the to return to independent living. Other programs are much longer and can last anywhere from 6 months to one year. These programs help patients who may be struggling with severe addiction or mental health issues and require more constant, ongoing support. Once a patient completes their inpatient program, they may begin an outpatient program while they are living on their own and supporting themselves. Outpatient programs usually happen once a week for only an hour or two, so it is easy for people to incorporate them into their daily schedules. People may choose between different types of group or individual counseling sessions and they usually do not have a set program length the same way inpatient programs do. Many people find outpatient treatment to be extremely effective because it can act as a form of accountability for them once the begin living on their own. It also gives them a safe place where they can work out problems that arise in everyday life and a professional who can help them through it. Anyone who receives treatment for a substance abuse problem will most likely become involved in an aftercare program. These programs were designed so people who may not be receiving active treatment anymore but still need resources and support. Many treatment programs encourage patients to get involved in an aftercare program and may even help set them up with a specific one. Aftercare does not have to be something specific like an organized counseling session, it just has to be ongoing, consistent and encourage members to choose sobriety. Sometimes a person may require extra support after they finish their inpatient treatment. In this case, they may move to a sober living facility. Also called halfway houses, sober living facilities are safe residencies that people can stay at while they are reintegrating themselves into society. People who spend time in halfway houses may be facing homelessness or cannot return to their homes without being tempted to abuse drugs or alcohol. Residents are not forced to stay at the sober living facility all day like they were in residential programs but are allowed to leave during the day. The are encouraged to look for jobs or seek out housing options if they are in a position where that would be appropriate. In order to remain living in the sober living facility, they must meet a curfew every night to ensure their safety and sobriety. They also must take part in random drug testing to prove that they are remaining sober and working towards an independent life. They are also offered group counseling sessions, vocational training and financial support at most facilities and are encouraged to become involved.